Where Are All the Hanukkah Songs? What’s one thing those songs all have in common? Besides being ubiquitous this time of year, they were all written by Jewish composers, mostly in the 1940s and ‘50s. So if Jews are writing all the Christmas classics, who’s writing the Hanukkah songs? There are actually a lot of Hanukkah songs, says Lihi Shadmi, an early childhood educator at the Silverlake Independent Jewish Community Center in Los Angeles. Most of us just haven’t learned them. 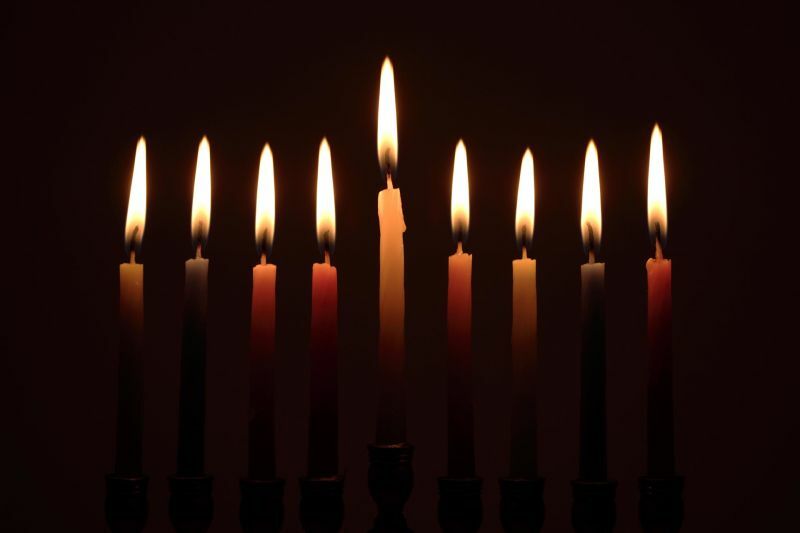 On the eight nights of Hanukkah, Jews traditionally light candles, recite blessings and sing songs marking the victory of a group of Jewish rebels against their Syrian rulers more than 2,000 years ago. “The melody of Maoz Tzur comes out of a concatenation of influences of different hymn melodies that were done in the 17th century, during the time period of the German Reformation. And various scholars who have looked at it have been able to trace the origins of these melodies to these hymns. And by the late 18th, early 19th century we get Maoz Tzur in the framework that we know it today,” said Mark Kligman, a professor of Jewish music at UCLA. That melody has been used in different parts of the Jewish liturgy, including for the candle blessings. Most of the Hanukkah songs we know today can be traced back to the Tin Pan Alley era of the 1910s and ’20s. These melodies were supported by the Jewish Welfare Board, an organization in New York that helped Jewish immigrants -- and part of that was through music. But newer Hanukkah music, liturgical or not, hasn’t caught on in the same way. “Jews in general are very reluctant to pick up new melodies, particularly for ritual contexts,” Kligman said. So instead, a whole genre of Hanukkah parody songs has emerged. One of the biggest debuted over 20 years ago on "Saturday Night Live": Adam Sandler’s “Hanukkah Song,” which rhymes the holiday’s name with words like yarmulke, funukah and marijuanuka. He unveiled the fourth version of his now-classic song just last month, listing such notable Jews as Jesus, Olaf (the “Frozen” snowman voiced by Josh Gad), Punky Brewster (played on TV by Soleil Moon Frye) and film producer Scott Rudin. “I think we were talking about how there just aren't that many songs out there that deal with, like, Hanukkah or Judaism that are funny and also good,” said Jack Dolgen, who co-wrote and produced the album. When it comes down to it, though, if you celebrate Hanukkah, you’ll light the candles and recite the blessings, and then sing “I Have A Little Dreidel” and other classics. But then you might search for the latest viral Hanukkah video and watch it with your family. So to answer the question of who will write the next Hanukkah classic: Maybe it’ll be you.